Yesterday the BBC reported that the deal to bring Jorginho to the Etihad could be done by the end of next week and the Napoli star looks a readymade successor for Fernandinho. Man City are 4/6 favourites to win the Premier League in 2018/19 and the potential new signing could play a pivotal role at the expense of one of the mainstays of the previous campaign. 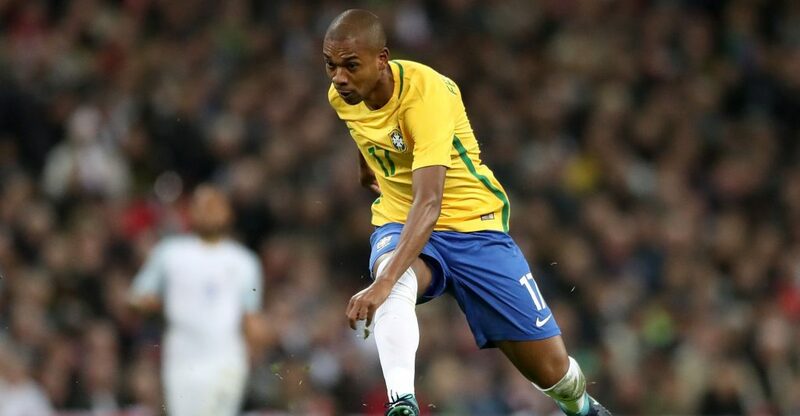 During a stellar 2017/18, Pep Guardiola was effusive in his praise of Fernandinho, describing the Brazilian as ‘one of the three best holding midfielders in the world’ and a better player than he had been in his own decorated heyday. Yet the former Shakhtar Donetsk man is now 33 and it can only be expected that he will begin to cede more and more starts to Jorginho as the 2018/19 season wears on, should the Napoli man arrive as expected. Seven years Fernandinho’s junior, the Man City transfer target was the Azzurri’s conductor in chief last term, to a greater extent than his Etihad equivalent. Jorginho averaged a hypnotic 96.9 passes a game in Serie A during 2017/18, the most of any player in the top divisions of Europe’s top five leagues. Fernandinho’s own average of 87.5, was behind teammate Nicolas Otamendi’s 90.4. The Italy international also posted marginally higher mean tackles (1.9) and interceptions (1.5) than the man he seems destined to replace at City (1.8 and 1.4), suggesting he can at least equal the stalwart’s defensive contribution too. Bringing in Jorginho this summer for £42m looks a doubly shrewd bit of business with Italy playing no part in the upcoming World Cup. This may contribute to him being played ahead of Fernandinho early in the next Premier League campaign, as the latter might expect to be granted a recovery period after representing Brazil in Russia, delaying his pre-season. Tite’s Selecao squad are 4/1 favourites to be crowned champions of the globe this summer.